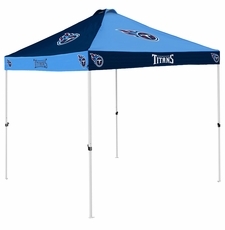 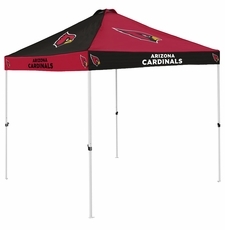 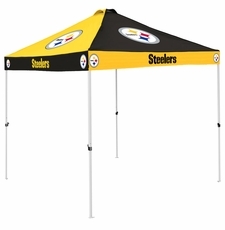 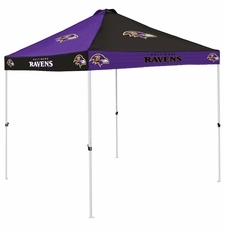 The NFL Team Checkerboard Tent let's you show team spirit from all four sides. 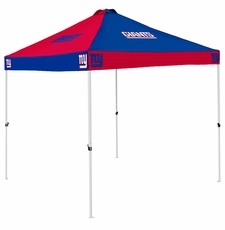 At 9x9 ft, this tent has a durable water resistant canopy to keep you covered. 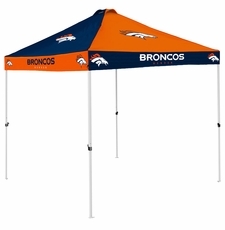 It has a 6 ft height clearance and stands 9 ft at the tallest point. The tent retracts to 4 ft for easy portability and storage and includes ground stakes for extra stability. 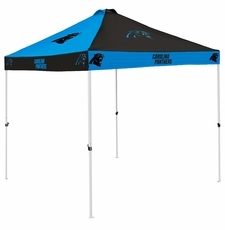 With alternating team color canopies and valences, you will stand out anywhere as the ultimate fan!